Toronto-based mattress company Endy has announced it is the first Canadian brand to launch a 3D World Lens ad within Snapchat, which offers companies the chance to debut an augmented reality campaign. Endy says their new 3D World Lens, once unlocked, will be available for 24 hours. The AR ad features a panda dancing (with its hands in the ‘ay-er’) and unboxing a mattress, which users can insert into any environment. 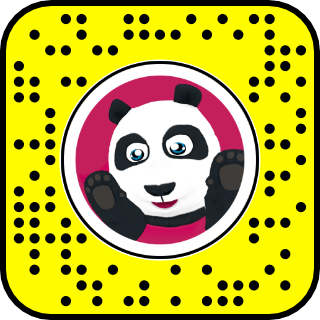 To check out the AR Endy ad, just launch Snapchat, aim the camera on the code below and tap your finger—It’ll ask you to unlock the panda. “We love seeing brands like Endy create engaging augmented reality experiences for their customers. Endy understands that fun, playful AR can drive brand awareness and also reach the right audience to drive sales,” said a Snapchat spokesperson in a statement. Endy says they are the number one online mattress brand in Canada “with the highest customer reviews and lowest rate of returns.” The company says they are on track to hit $50 million in revenue in 2018, selling their locally-made beds exclusively in Canada. 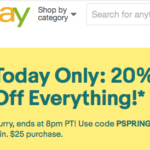 Use coupon code IPHONEINCANADA to save $50 off your next Endy purchase. The mattresses come with free shipping plus a 100-night sleep trial, so you can return the mattress for a full refund if you’re not happy with it. Disclosure: Endy is an affiliate partner of iPhoneinCanada.ca and allows readers to help support the site.